With games twice a week, a wide choice of activities, regular inter-school fixtures and numerous fitness clubs, our children are healthy and active. 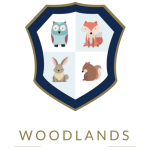 Participation in sport helps Westville’s children to develop their physical, social and intellectual skills. Through sport, our children learn about teamwork, build confidence and learn how to conduct themselves with integrity and humility. Surrounded by glorious Yorkshire countryside, our sports field and outstanding indoor facilities allows us to delivery a wide range of sporting opportunities to match every interest and ability. Under the guidance of our dedicated Physical Education we focus on a child’s personal development. Few children consider themselves athletes when they arrive, but they soon discover new sports and the talent to play them. Long after leaving Westville many continue to enjoy their sporting abilities and love of the great outdoors, taking the skills, team ethics and intrinsic motivation with them for life.